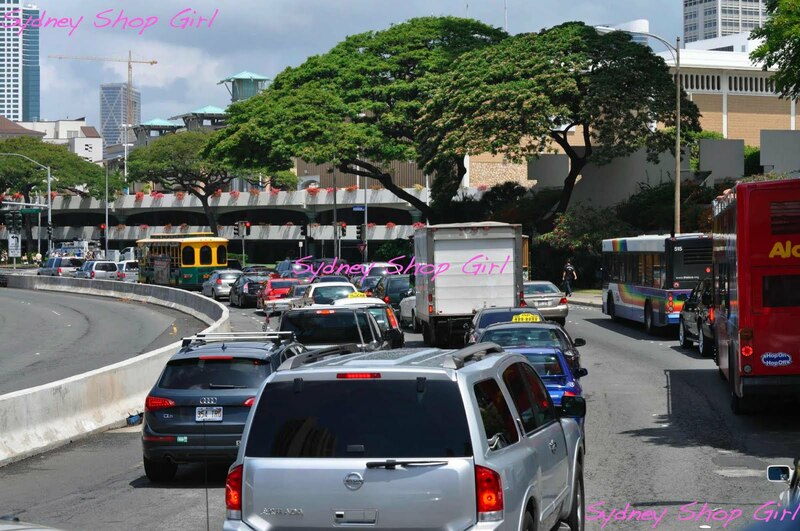 Sydney Shop Girl: Hawaii Shop Girl. and perhaps most importantly, the young lady at customs who lead me to realize that all the shoes I bought were trainers and who really didn't want to see all the underwear a woman with such boring taste in shoes was likely to be muling home. Neiman Marcus was more cosmetic mecca than Mecca Cosmetica. Plus the ladies have this compulsion to match what you buy weight for weight with free samples. So here we are. I'm finally unpacked. Personal sacrifices were made. I stayed home for an entire sunny Saturday morning to pack and declutter. 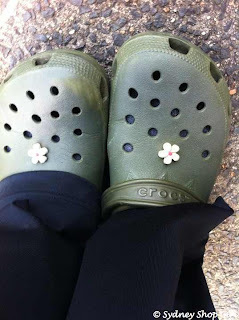 My only social outing (besides yoga in the afternoon which was more a therapeutic intervention) involved dressing up my black trackies and grey explorer socks with these fetching Crocs in order to go up the road to get some coffee. They do their coffees super hot at Cavalicious! You have no idea what good news this was to my hands this morning. Those bulging suitcases have slimmed down in record time (they could teach those Hollywood yummy mummies a thing or two) and I've done enough decluttering to find space for all my new stuff make me realize that I realistically will not need to buy another item of clothing until ... a really scary date way into the future. I'll come clean and say that a lot of shopping went down in Hawaii. The volume of which took even Mr SSG by surprise. I blame those energy foods cheap bananas and Hawaiian coffee (their beans really are better than those that supply the rest of the nation's coffee). Trolley buses (in the background, the green and yellow vehicle) operate at high frequency throughout the day and are a cheap way of getting to and from the shops. 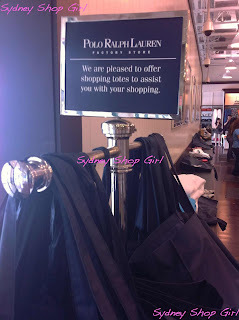 Our first stop was the Waikele Premium Outlets, as suggested by The Stylish Shoe Girl. We took a shuttle bus there and back, at a cost of $4 per person I think and each person receives a booklet of discounts that actually translate to pretty significant savings, so do remember to use them when you're there. We had to nominate a return time when we were dropped off. Because we had nothing else to do, we guestimated 4 hours and to our suprise, we needed every single one of them. They were pretty generous about your people getting on the return buses with large suitcases. You'll understand about the suitcases a little later, I think. The first store we went to was Saks Off Fifth. Where do I begin? 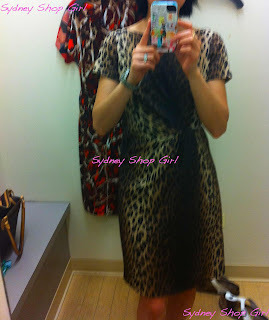 You've already seen my ridiculously cheap Marni dress but there was more. Mr SSG got 2 Hugo Boss suits for the price of one (which was already 60% off), I got 3 pairs of designer shoes for less than $200 and then there were these dresses. We love leopard print!!! Dress by Moschino. Both, I am happy to say were Heavily Discounted and then Heavily Discounted .. Again. To the point that they each cost the same as what a full price Cue or Country Road dress is going for these days (which is a ridiculous number in both instances). Sorry about the gratuitous inclusion of my grotty Birkis in these photos but I am all about keeping things real in somewhat surreal retailing circumstances. 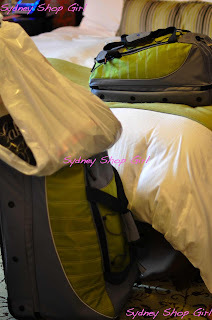 Then we detoured to the Samsonite store because it looked like things were getting pretty serious indeed. We found a very practical soft case (see earlier photos) which came with a free backpack and a matching tote bag as part of that discount booklet I mentioned earlier. The pink luggage locks were my idea. I like an intuitive store entrance. Totes are much more handy than shopping baskets. They fit way more too. Next stop, Polo Ralph Lauren. Oh my. It was All American Preppy Heaven for this pair of Australians. Nothing was more than $60. There was an additional discount on offer here as well. I won't bore you with photos but think nautical, bright and for some reason, a black ladies puffer vest. I'm becoming North Shore before my time. Found! 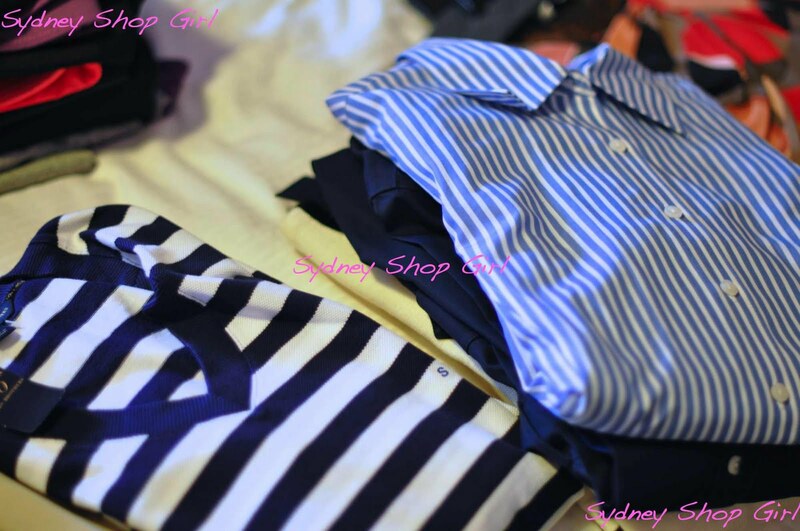 A navy stripe knit dress (left) and shirt dresses cut for chicks with hips (right). I just couldn't say no to nautical or preppy. My next stop was Brooks Brothers. The outlet mainly stocked the diffusion line '346' which suited me fine because all the fabrics were very SSG friendly (read wash and wear with only minimal ironing). The prices were about 75% less than Herringbone but 500% better cut for my body shape. The Adidas outlet was the scene of more pricing insanity. $20 to $30 per item for tops and bottoms made from moisture wicking fabrics, $6 for cotton T shirts, $10 for multi packs of socks. I didn't find anything at the other outlets which included Juicy Couture (which was pretty pricy in comparison) and Banana Republic (their full price stores had some great bargains though). Didn't get to Coach and didn't look very hard at Barneys. 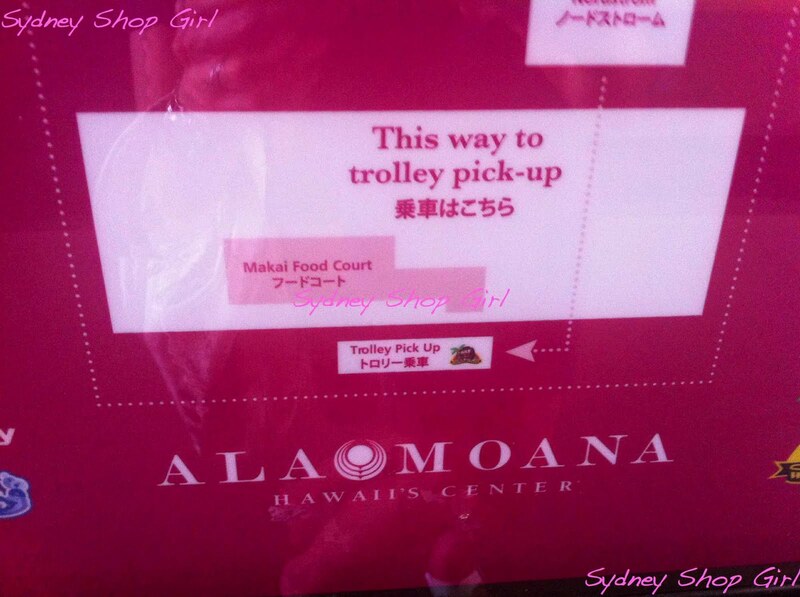 The two most important places to find at Ala Moana - the food court and where the trolley picks up. 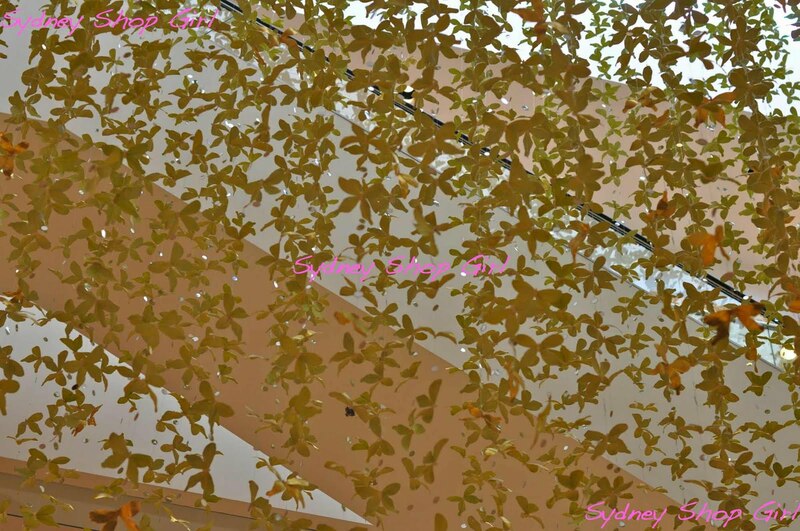 The golden butterflies of Neiman Marcus. In a different life, I could quite possibly be a lady who Neimans. I've already declared my devotion to the beauty hall. Don't take my word for it, check their website for their prices. Now, try to remember any of the reasons that don't involve price gouging as to why prices in Australia are so far north of this. Nope, neither could I.
American department stores are very similar to their Japanese sisters. The designer floors are wall to wall, rack to rack merchandise. Assistants calmly invite you to inspect the latest shipment of Pucci that they've just unpacked. They apologize that they haven't priced it yet, it's all so new. The current season Pucci is all immaculately hangered and an identical distance separates each hanger. They don't look 'last season' at all, to my untrained eye. All the staff have business cards. You could host afternoon tea in a change room. Shopping on holidays is not just about dream sequences in ladies designer fashion, it's also about pushing boundaries. Shopping for things you normally don't for whatever reason. Remember how I told the customs lady I bought lots of underwear? Do you want to know why? Because it was just so much more fun than I thought it would be. For a start, the stores looked fun. There were posters of impossibly perfect supermodels flirting with you from the storefronts but they sort of faded into the background once you step inside. 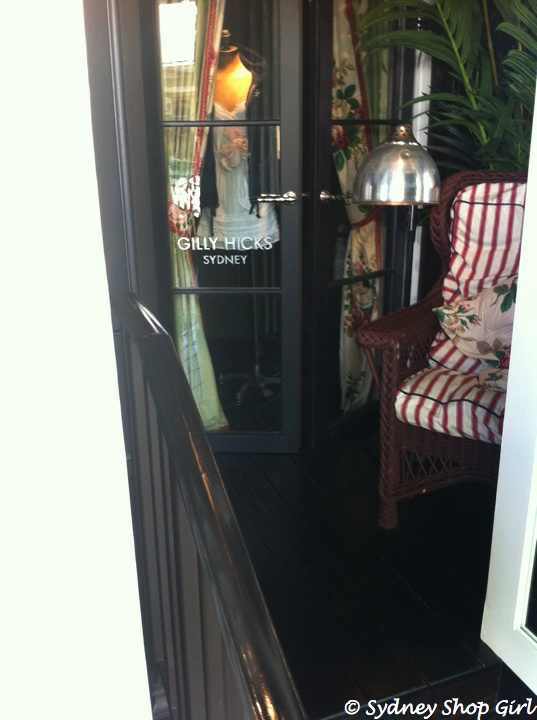 Oh the shame that Gilly Hicks Sydney does not infact have a single store in Sydney. The shame! 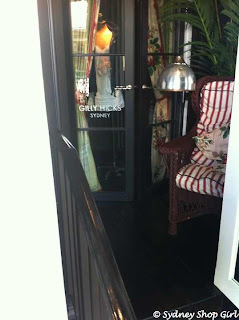 I didn't know what to expect when I stepped into Gilly Hicks. It is less of a nighclub than it's big brother A&F. But it's still pretty dark inside. There are references to Sydney and its beaches everywhere and that's what made me browse the racks of fashion beach gear. Then I found the underwear room. There was colour and print everywhere, plus cute canvas shopping totes. The changerooms are really clever. The drawers in the photo above contain each kind of bra by size. You just try on the samples, find your best fit and style then head out to just choose colours. Victoria's Secret works in a similar fashion but you pick what you're looking for in a bra (push up etc) and are given a size specific choice based on your cup size. It's great! No more awkward moments realizing you've brought the wrong size to the fitting room. Or brought home something with another person's make up all over the straps. 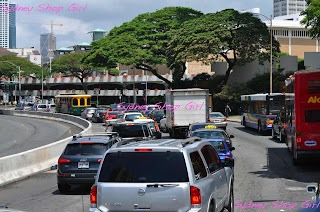 After his shopping tour de force at Waikele, Mr SSG decided that unless a meal was involved, it would be best to leave me to my own devices at Ala Moana. 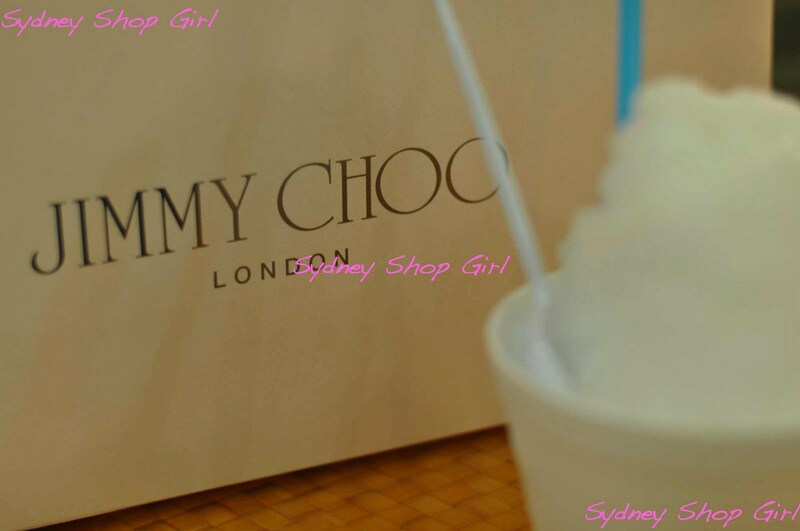 So I had to share my coconut shave ice with my Jimmy Choo shopping bag. It's been a busy day here at SSG Manor. The wardrobes, especially, are feeling sore and unsettled from all the packing and storing. I'm off to bed now with my Donna Hay magazine. There's a winter in New York City feature and I will be reliving some white winter memories of my own through the photos. Oh my word! You did so well. I love all your purchases. You make me feel so proud as an Australian. Shoppin' for the country! 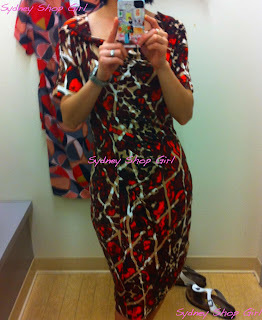 I love that Escada dress! Nothing like a heavy discount on the heavily discounted. :) These posts are adorable. Happy to have 'bumped' into them. We thank you for your contribution to our economy:). I am sure as Aussies are keeping the US economy afloat with out shopping prowess. Having read your posts and been reminded of the fab shopping opportunities, I can't wait for our annual trip to come around in November!! So happy to see another Waikele Outlet success story aka purchases! Mum and I separate HUGE blue bags, we laughed! Needless to say, both bags were filled to the brim! Glad to see you also had success at Brooks Brothers! Love that shop! The golden butterflies in. 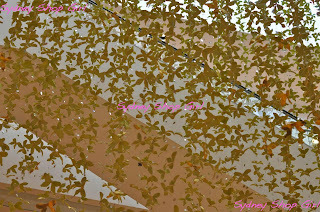 Neiman Marcus are stunning and catch the light beautifully! I love the Escada dress. It will always be stylish! Are you saving the unveiling of the Jimmy's for another post? Thank you for saving me money + allowing me to vicariously shop through your blog. 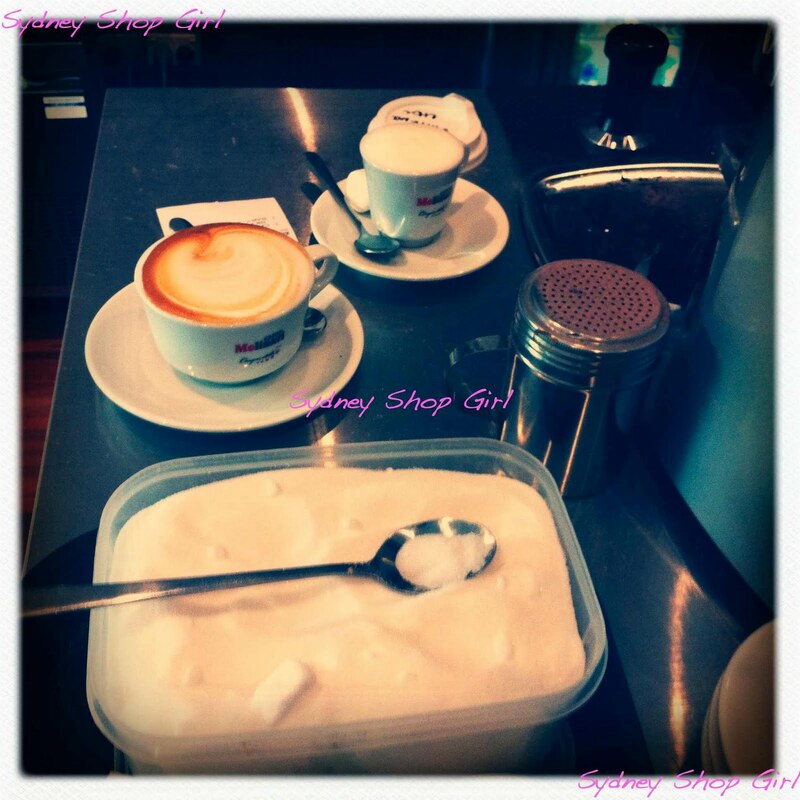 The shopping looks amazing. I love those two dresses. And I love the way you write. 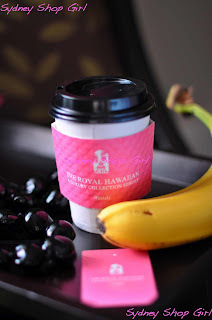 If I wasn't already jealous about the shopping, now I discover you stayed at the Royal Hawaiian, my boyfriend's fave hotel in the world! He always tells me how much I'll love it (I have a pink fetish)...well hurry up and take me there already! The centre had got a lot bigger since my last visit. Has a heap of high end shops and other Hawaii shops such as Target. Target is more my price range.